Running out of money is often cited as the biggest fear of retirees. Most investment and financial advice has traditionally been focused on the accumulation phase (growing assets before retirement). But, with the elimination of traditional pension plans and increased life expectancies, retirees are now finding that the distribution phase (spending down assets in retirement) is far more complex and requires a skill-set that they may not possess. This blog will provide a couple brief pointers on how to review your financial situation and investment allocation so that you don’t spend your retirement worrying about outliving your assets. How much can I spend each year in retirement? The best way to answer this is to perform a comprehensive retirement cash flow analysis. By modeling out detailed projections, you can analyze how your income and expenses will affect your retirement nest egg over time. This will include a review of your balance sheet, sources of annual income, tax features and how much you plan on spending each year. It is important to work with an experienced advisor who uses a high-quality planning software that can model out different scenarios so that you can see how modifying various assumptions can impact your financial picture. 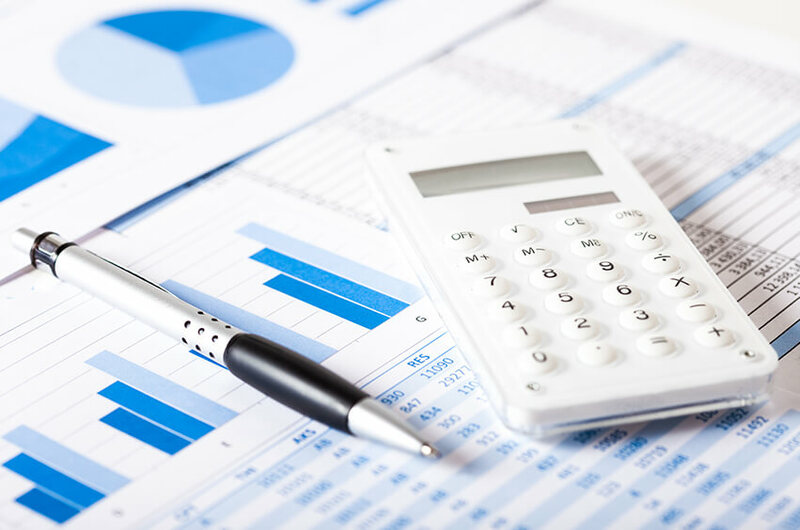 The cash flow analysis will help you find out if a level of annual spend is sustainable based on your balance sheet and the underlying assumptions (the key is to be realistic but conservative). It’s important to update this analysis periodically as you progress through retirement to account for any changes in your situation and to confirm your plan remains on track. How do I determine my investment allocation in retirement? In the bucket approach, you start out by estimating what your annual retirement “shortfall” will be (meaning by how much do your annual retirement expenses exceed your annual retirement net income). You then try to fill Bucket 1 with one year of this shortfall in a money market account. Next, you try to fill Bucket 2 with 7-10 years (or more) of this shortfall amount in a diversified fixed income (bond) portfolio. 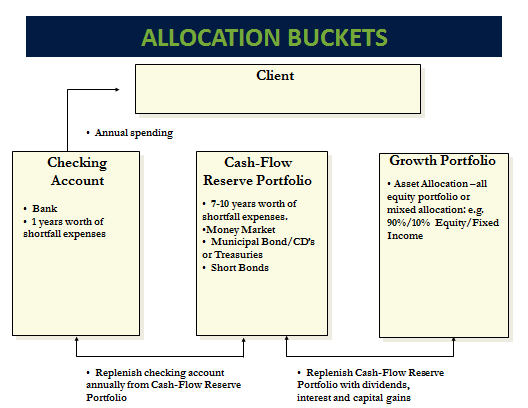 Lastly, fill Bucket 3 with the remainder of the portfolio in a diversified stock/bond mix. How aggressively Bucket 3 is allocated depends on how large the overall portfolio is and what the primary goal of the investor is (i.e., either protecting the corpus to provide a bigger spending cushion for the investor or growing the pot in an attempt to leave a larger amount for heirs or charity). What this 3 bucket approach accomplishes is theoretically not having any funds you plan on needing in the next 7-10 years in the stock market. It also helps to avoid having to sell stocks at an inopportune time. If the stock market pulls back (as it inevitably will at various points during your retirement), you can pull any funds needed for living expenses from Bucket 1 or Bucket 2 and allow your stocks in Bucket 3 time to recover. If you are in retirement and can’t fill a 7-10 year bucket with conservative bonds, you may either need to be more aggressive with your investments then is ideal or you may need to reduce your annual spend. An illustrative example of this 3 bucket approach is set forth below. As you approach and enter retirement, managing your finances becomes much more complex. Determining how much you can safely spend each year and how to allocate your investments are just a couple of the many critical financial decisions you will face in retirement. Make sure you work with your financial advisor to put together a plan that meets your needs. If you don’t feel that your current advisor is providing adequate guidance in these areas, find one that will. Feel free to contact us for more information on this topic or to schedule a meeting to discuss your situation further. See https://www.lutz.us/planning-health-care-costs-retirement/ and https://pressroom.vanguard.com/nonindexed/Research-Planning-for-healthcare-costs-in-retirement_061918.pdf for more information on how to estimate healthcare and long-term care costs in retirement. Qualified Charitable Distributions, or QCDs, are a tax provision allowing people age 70 ½ or older to designate funds from pre-tax IRAs to be sent directly to a charity(s). Initially, QCDs were a temporary provision in the tax code as part of the Pension Protection Act of 2006. This was set to run through the end of 2007, however, after 2007 there were last-minute, and sometimes retroactive, legislative Acts that reinstated this provision for a year or two. Finally, in December of 2015, the PATH Act made this provision permanent going-forward and eliminated the guessing game every year. The law permits any individual that is 70 ½ or older to gift up to $100,000 annually from a pre-tax IRA to a charity, or charities, of their choice. Normally, distributions from a pre-tax IRA are taxed as ordinary income and follow the marginal tax rate schedule. However, QCD legislation allows distributions to be made from the IRAs and shields them from tax returns so long as they go to a qualified charity. It is important to note that individuals must actually be age 70 ½ at the time of the QCD, not simply turning 70 ½ sometime that year. Most people make charitable contributions throughout the year to causes that are important to them. These range from weekly contributions to a church, contributions to local non-profits, donations to a college alma mater, or more national, far-reaching agencies. Utilizing the QCD provision is a great way to facilitate normal annual gifting or one-time pledges to organizations in a tax-free manner. QCDs are permitted to any organization that qualifies as a 501(c)(3) charity. Doing a QCD can simplify charitable gifting by consolidating weekly or monthly giving into quarterly, semi-annually, or even annual gifts. There is no limit as to how many charities you can gift to. A major benefit of the QCD provision is that it can be used to fully or partially satisfy required minimum distributions (RMDs) from pre-tax IRAs. Upon reaching 70 ½, individuals must take out a percentage of their pre-tax IRAs, or 401(k)s, that have grown tax-deferred over their working years. Individuals can also utilize the QCD provision for an RMD on an inherited IRA if they are personally 70 ½ at the time of the distribution. The RMD is calculated by using the previous year-end balance of pre-tax retirement accounts and dividing this number by a life expectancy factor. The beginning RMD distributions for a married person is approximately 3.75% of their total pre-tax IRAs. For example: Sam Smith, turned 71 in April 2018. He retired a few years ago and rolled over his old employer 401(k) into a pre-tax IRA. Sam took his first RMD in 2017 and the IRA balance on December 31, 2017 was $1,000,000. 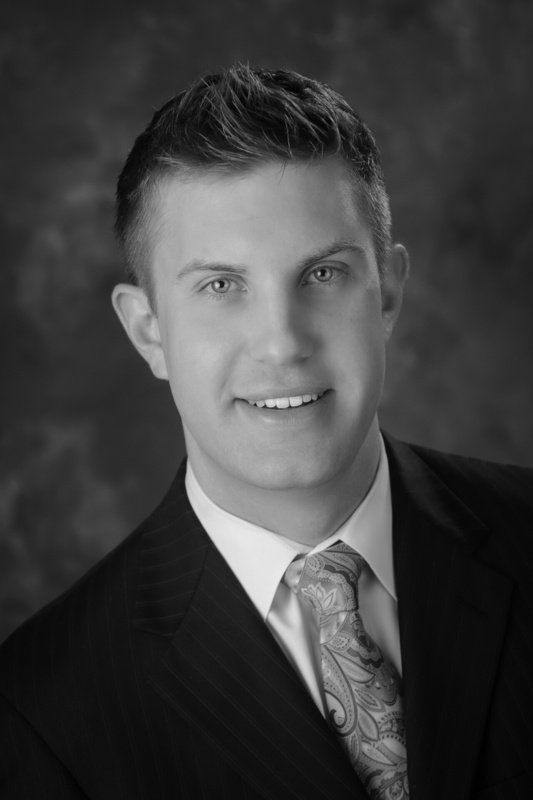 Sam would need to take out roughly $37,500 as his RMD from his IRA before December 31, 2018. For married couples, it is common for both spouses to have pre-tax IRAs that are subject to RMDs. The QCD provision allows people to use distributions sent directly to charity (or a check made payable to charity sent to them) to count towards annual RMDs. The above fictitious example of Sam Smith is a common scenario. Sam would have to recognize an additional $37,500 in ordinary income on his tax return, and his spouse may have an additional RMD that needs to be counted as income. Retirees often see their income rise in retirement upon reaching 70 ½ because of large RMD income. Using the QCD can prevent pushing people into the next tax bracket if their RMD is big enough because it shields some or all RMD income which would normally be taxed. For others, utilizing the QCD provision can keep more of their Social Security income non-taxable, keep Medicare Part B and Part D premiums lower, and help others avoid the 3.8% net investment income tax by shielding RMD income from a tax return. 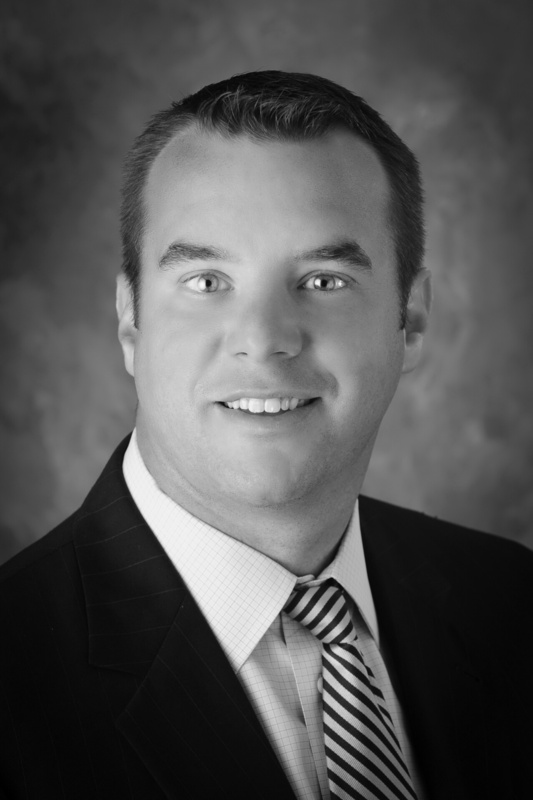 Many people make charitable donations by transferring highly appreciated stocks or securities from their taxable brokerage accounts to a donor-advised fund or organization like the Omaha Community Foundation charitable checkbook. This strategy avoids high capital gains and helps get an upfront deduction in the year securities are gifted, yet has the flexibility to gift proceeds to charities of their choosing over subsequent multiple years. We still think this is a worthwhile strategy for younger investors, but the new tax law has made the QCD even more powerful for those over age 70 ½. As a side note, QCDs are not permitted to be made into donor-advised funds but must be made payable or go directly to a charity. The Tax Cuts and Jobs Act of 2017 (TCJA) brought on broad, sweeping changes to the tax code. One of the biggest changes was an expanded standard deduction and increased limitations on itemized deductions. A direct correlation of these changes included dramatic shifts in the tax benefit of making charitable donations. Previously, the standard deduction for a married couple filing jointly (MFJ) was $12,700, with personal exemptions of $4,050. Thus, MFJ couples got $20,800 combined in standard deductions and personal exemptions. TCJA consolidated the standard deduction and personal exemptions into one larger standard deduction of $24,000 ($12,000 single filer). For those who are 65 and older, an additional $1,300 standard deduction is added per individual. Additionally, the new tax law significantly limits allowable itemized deductions. Namely, state and local taxes (SALT) and real estate taxes are now capped at a combined limit of $10,000 annually versus the old law allowing individuals to include the full amount of these taxes as itemized deductions. On top of this, miscellaneous itemized deductions (tax preparation, investment advisory fees, organization fees, safety deposit boxes, etc.) in excess of 2% of AGI were repealed for individuals. As a result, the only deductions that are left are the $10,000 limit for SALT/real estate, home mortgage interest, charitable contributions, and medical expenses in excess of 7.5% of AGI (2018). Thus, more than 90% of the population will be filing the standard deduction in 2018 and beyond because they don’t have enough itemized deductions to eclipse the much higher standard deduction limits. For many retirees, one of their major goals before retirement is paying off the mortgage. Without mortgage interest to deduct, the only eligible itemized deductions are from SALT/real estate taxes and charitable contributions (and maybe medical deductions). With SALT deductions now limited to $10,000 and no other eligible deductions, the first $14,000 or $16,600 (couples over 65) of annual charitable gifting for married couples has no tax advantage. QCDs are unquestionably the way to gift for anyone over 70 ½ given these new tax laws because you are taking pre-tax funds and gifting them to charity—in essence getting a full tax deduction you might not otherwise get. Thus, the QCD provision has turned IRAs into Charitable Piggy Bank for those over the age of 70 ½. Like any tax recommendations, we suggest you or a loved one speak with your CPA to discuss the merits of potentially using the QCD provision. It is not an all or nothing proposition. If you wish, you can designate only a small portion of your RMD to go to a specific charity or charities. At any rate, I would expect the QCD provision to continue to gain popularity as a great way for those over age 70 ½ to give to the charities of their choosing because of the recent tax law changes that have gone into effect for 2018. We work with small business owners all the time. The entrepreneurial spirit runs through them all, and their passion for their businesses is evident each time we meet. Most spend the waking hours of their day working on their business and trying to improve their craft in order to help their customers, their employees and their business succeed. Because of this laser focus, many small business owners don’t think about themselves when it comes to retirement. Too often, we find small business owners are over-reliant on the value of their business as their main source to fund retirement. In fact, a Small Business Administration working paper (https://www.sba.gov/advocacy/saving-retirement-look-small-business-owners) written in 2010 showed the magnitude of the problem. The SBA noted that only about 18 percent of all business owners participated in a 401(k)/Thrift plan. Micro-businesses with fewer than 10 employees had 401(k)/Thrift plan participation of 10%. The good news is that as 401(k) plans have become easier and cheaper to manage, those numbers are increasing. However, in order for many to have a comfortable retirement, it’s important that these numbers keep improving. So what can be done? While it’s not feasible for every small business to have a 401(k), they should at least examine their retirement plan options. For this reason, we produced five different strategies small business owners could employ depending on their businesses lifecycle stage. Strategy #1 – I (and perhaps my spouse) am the only employee. If you are self-employed or employed in a business with just your spouse, you have the ability to set up your own 401(k) plan. The advantage of this is the ability to do employee contributions each year as well as a tax-deductible profit sharing contribution from the company. The solo 401(k) is a great option for self-employed individuals. This lets the owner/employee contribute up to $18,500 for 2018 ($24,500 if you are 50 and older) of their compensation indexed to inflation. In addition, the employer has the ability to contribute a tax-deductible profit-sharing contribution of up to 25% of compensation or of net self-employment income (net profit less half your self-employment tax and the plan contribution you made for yourself as an employee). The combined limit for those contributions in 2018 is $55,000 or $61,000 if you are 50 and older. The employee contributions can also be post-tax and placed into a Roth 401(k), which will never be taxed again in the future. This is a good way to add tax-free distributions in retirement to your balance sheet. Another benefit is that these 401(k) assets are protected by ERISA which means they are shielded against creditors of the company should something go wrong and the business fails. In lieu of a 401(k) plan, you could do a SEP IRA designed for sole proprietorships and small business owners. You can be a sole-proprietorship, partnership, S or C Corporation or an LLC. This is only funded with employer contributions. Vesting is immediate, and you must contribute for all eligible employees. Contributions can be made up to 25% of compensation or $55,000 for 2018, whichever is less. Because of this higher contribution level and the fact it’s all employer-based, is the reason it’s most often used for sole-proprietorships that want to get the tax deduction for the contribution for the owner. A Roth option is not available in the SEP because it’s an employer contribution. In the instance where a company is growing fast and needs to attract workers, retirement plans are often used as a benefit to attract employees. For those looking to add a quick plan for themselves and the employees with minimal administration, a SIMPLE IRA can be used (for businesses with fewer than 100 employees). Note: You must establish a SIMPLE plan between January 1st and October 1st of the plan year, and you may not maintain any other retirement plans in addition to the SIMPLE. You can set up the SIMPLE using a Form 5304-SIMPLE or Form 5305-SIMPLE with the IRS and notify your employees of its opening. Strategy #3 – My company is established, and I am trying to find the best retirement plan for myself and my employees. In this case, an employer may have been using a SIMPLE IRA or other plan and wishes to increase the amount that employees and owners can save for their retirement. A 401(k) plan is probably the best choice in this situation. With a 401(k), you can customize (within regulatory requirements) vesting schedules, employer match, and profit sharing. For this article, we are going to talk about the Safe Harbor 401(k) plan which does not subject itself to discrimination testing because of its stated employer match characteristics. Employees can contribute up to $18,500 for 2018 ($24,500 if you are 50 and older) of their compensation indexed to inflation to the 401-k plan. These contributions can be pre-tax into a traditional 401(k) or after-tax into a Roth 401-k (Roth distributions are tax-free in retirement). For the employer match in a Safe-Harbor plan, an owner has two options. The first is matching 3% of employee deferrals plus 50% on the next 2% of employee deferrals. You would not need to match if there were no employee contributions. Another option is to match a flat 3% of employee compensation regardless if they have contributions to the plan or not. Obviously, this strategy provides good benefits for employees and owners. The safe harbor plan eliminates the need for discrimination testing and ensures maximization of deferrals for all employees regardless of compensation. Additionally, if employers wanted to, a profit-sharing component could be added to the plan. There are a few ways to calculate the profit sharing piece that you should examine during plan design. Ultimately it could give owners the discretionary ability to make a contribution up to 25% of eligible payroll to an overall maximum contribution per eligible employee up to 100% of compensation not to exceed $55,000 or $61,000 for those over age 50. Reporting requirements to the IRS would include an IRS Form 5500 and potentially an audit for those with more than 100 participants done by an outside CPA firm. The Department of Labor will also monitor fiduciaries to the plan. Strategy #4 – My company is established and highly profitable. I would like to defer more money prior to taxes into a retirement plan, and the 401-k isn’t enough. Something to consider in companies trying to maximize retirement contributions and pre-tax dollars is a Cash Balance Plan. Essentially, this is a defined benefit plan on top of their current 401(k). With the most anyone can save into a 401(k) plan being $55,000 or $61,000 annually, the addition of a cash balance plan could allow for somebody older than 60 to save more than $200,000 annually in pretax contributions. Funding these types of plans requires contributions made directly from the business (no employee deferral) into a pooled account. The plan document and actuarial specifics determine how much each employee/owner would have allocated to each plan. The plan is then invested as a group, and an actuary must certify every year that the plan is properly funded. If it’s not, additional contributions from the firm maybe needed to “catch the plan up” to funded status. Those leaving the plan may be able to roll their “asset value” out of the plan into IRAs of their own or keep assets in the plan ultimately allowing for distribution later. Obviously, these plans require additional filings to the IRS and actuarial expense. These are optimal for smaller closely held businesses that are highly profitable. Many medical and legal practices offer these plans to their groups in order to provide for retirement and pre-tax savings. Strategy #5 – I don’t need to add a retirement plan to my business as my employees don’t require it and I don’t want to provide any additional matching funds. This is your choice as a business owner and is certainly an option. However, you should still try to diversify some funds outside your business. If you or your spouse lacks access to a retirement plan at work, you have the ability to make a deductible contribution into an IRA of up to $5,500 or $6,500 as of 2018. This contribution can be made annually regardless of income if no plan is offered to you. 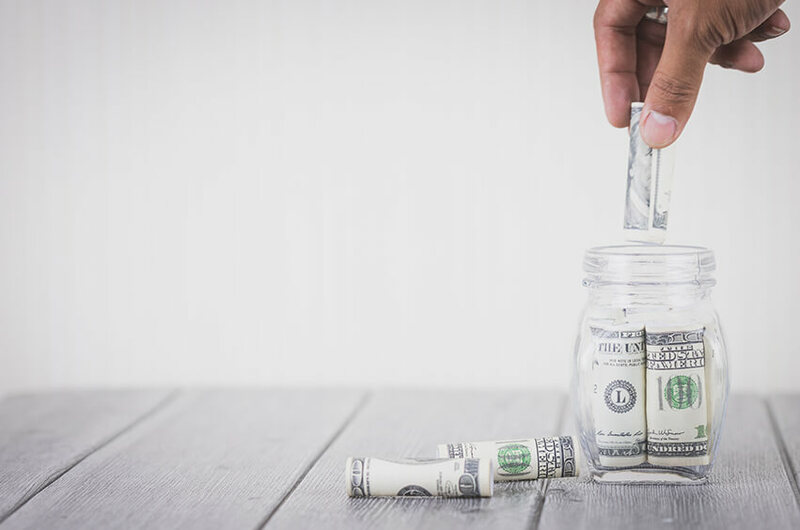 Depending on your income you may also be allowed to contribute to an after-tax Roth IRA to provide for tax-free distributions at a later date. It’s a good idea to take funds out of the business if they aren’t needed for two reasons: liability and diversification. Funds removed from the business would be less subject to any frivolous lawsuit filed against the company. Funds can be moved to a regular investment account to diversify into other assets outside your area, sector of the economy and safer assets you may need for a rainy day. Qualified dividends and capital gains taxes are often lower than income tax rates that may be generated by leaving assets in the business for growth. Providing outside assets for your retirement lessens the stress that the value of the business has to provide. It allows for liquidity and diversified revenue streams that could lower your personal risk profile and financial reliance on the business. Whatever the case, there are multiple retirement plan options for small business owners to examine. While many focus on the need to reduce taxes, there are additional reasons such as diversification, employee recruitment, liability, and creditor protection. Be sure to consult with a qualified CPA and Investment Advisor who have expertise in retirement plans to find the option that is most appropriate for yourself, your employees and your business. Admittedly, the US tax code is confusing enough for most of us to keep track of on a yearly basis. Late last fall you likely heard or were following proposed legislations and versions of the Tax Cuts and Jobs Act (TCJA) bill. Both the House and the Senate each had their respective agenda and proposed numerous iterations and edits along the way. What came out of final negotiations and was ultimately signed into law a few days before Christmas were the largest changes to the US tax code since 1986. With these new tax changes, there come financial planning opportunities for individuals and businesses alike. For trusts and estates, tax brackets were reduced from five to four with the new brackets being 10%, 24%, 35%, and 37%. It is important to note these tax brackets are still very compressed in that it only takes $12,500 of income to reach the top of the 37% tax bracket. Another important change is that the “Kiddie Tax”, for children under 19 or college students under 24, will now have unearned income above $2,100 be taxed at the more compressed trust tax rates rather than a parents’ tax rates. Examples of unearned income could be dividends or capital gains from a UTMA account or distributions from an inherited IRA. One thing that remained the same under the new tax legislation was capital gains and qualified dividend treatment. While TCJA will introduce new tax brackets and slightly different thresholds, the preferential rates for long-term capital gains and qualified dividends will remain unchanged. 0% capital gains rates will end at $38,600 ($77,200 for married filers) even though the 12% marginal tax bracket ends at $38,700. A large majority of you will fall in the 15% capital gains range which goes up to $425,800 for individuals and $479,000 for married joint filers. There are effectively 4 capital gains rates depending on taxable income of 0%, 15%, 18.8%, and 23.8%. This is because the Medicare surtax of 3.8% remains on net investment income for individuals with $200,000 of AGI or $250,000 for married joint taxpayers. Thus, anyone over this threshold pays this tax on top of either the 15% or 20% long-term capital gains rate. Expanded Standard Deduction: One of the key reforms under the new legislation is a greater standard deduction and repeal of the personal exemptions. Previously, the standard deduction was $6,350 for individuals and $12,700 for married joint filers, with personal exemptions of $4,050 per person. Personal exemptions are now gone, with the standard deduction almost doubling to $12,000 for single filers and $24,000 for married joint taxpayers. This is a huge change that will capture many people under the standard deduction who had previously itemized deduction under the old tax law. Larger Child Tax Credit: Another new tax provision is the larger Child Tax Credit which will move up from $1,000 to $2,000 per qualifying child under the age of 17. Additionally, the income phase-out for being able to claim this credit will dramatically increase from $75,000 to $200,000 for Individuals and $110,000 to $400,000 for married filers. For example, Sam and Sally Smith have two kids (8 and 11) and have joint income of $200,000 in 2017. Assuming they had itemized deductions of $15,000 and claimed 4 personal exemptions of $4,050 each, they had $31,200 in deductions/exemptions combined. Under TCJA, they will claim the standard deduction of $24,000 but now be eligible for $4,000 of dollar-for-dollar tax credits. Even though the taxes due are $2,016 more because of $7,200 in lower deductions (at their old rate of 28%), the ability to claim $4,000 tax credit for their kids actually lowers tax liability by almost $2,000. In addition to qualifying children, the new tax rules also include $500 credit for “non-qualifying” children like college-aged students who are still dependents or actually dependent parents who are living in your home. Pease Limitation Repealed: The former Pease limitation, which phased out 3% of higher-earning taxpayers’ itemized deduction above income limits of $313,800 in 2017, was repealed. This will provide a further deduction for high-income individuals whose itemized deductions were limited previously. Limitation of Itemized Deductions: One of the most hotly debated topics of the TCJA was the proposed elimination of various itemized deductions. The final bill split the difference in a lot of areas. Beginning in 2018, state and local income taxes (SALT) and real estate tax deductions will be limited to a total of $10,000 combined. For high-income individuals/families and those who live in states with higher income taxes or real estate taxes (like Nebraska!) this is a big deal. This led to a rush to prepay real estate taxes and any associated state taxes for 2017 before the end of last year. Additionally, any new mortgage interest after December 15th, 2017 will be capped at $750,000 of debt principal, which is a reduction from the previous $1M of interest on debt principal. One other major change was the repeal of being able to deduct “home equity indebtedness”. 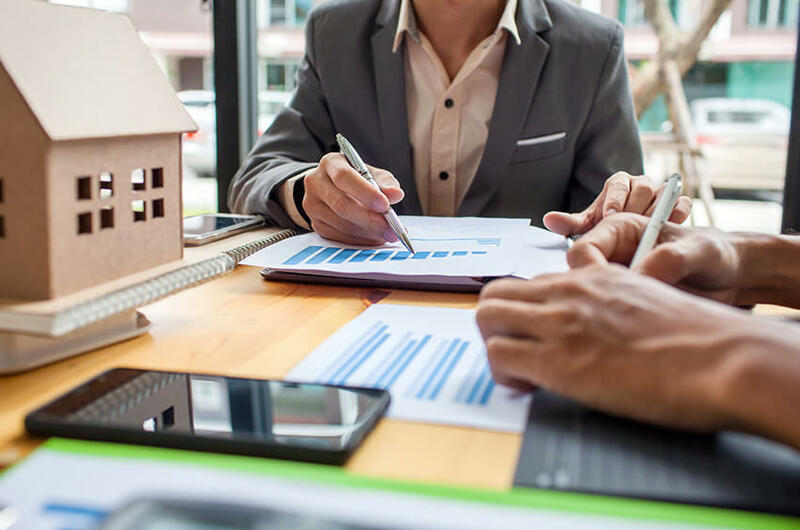 There is a caveat though, you are still allowed to deduct interest from drawing on a home equity loan or line of credit to add-on or improve a residence. You just can’t use deduct interest on HELOC for personal spending like a vacation or buying a vehicle. Repeal of Miscellaneous Itemized Deductions: In addition to limitations on SALT/property taxes and mortgage interest, many popular miscellaneous itemized deductions were repealed. Previously taxpayers could deduct expenses like unreimbursed employee expenses for job travel, tax preparation fees, home office deduction, safety deposit box fees, and investment advisory fees that were in excess of 2% of their AGI. These deductions for individuals were all repealed. Notably, any expense of a business entity or sole proprietorship claimed on Schedule C will still remain deductible though. One recommendation that may have differed from the past is to take any fees associated with pre-tax IRAs or Individual 401(k)s and have them deducted from that account versus a taxable account because you are still getting a full tax deduction in essence (money went in pre-tax and comes out tax-free for investment advisory fees versus otherwise being taxed at ordinary income). Moving expense deductions which could be claimed above-the-line are also repealed in 2018, as is the business’ ability to pay for moving expenses for employees on a tax-free basis. The increased standard deduction and limitations on itemized deductions will capture many more people under the standard deduction going forward. One of the few ways anyone will be able to itemize in a given year is with sizable charitable contributions. It will make sense to utilize donor-advised funds or vehicles such as the Public Community Foundations to pre-fund several years of your charitable giving and lump it into one year. Take for example, Sam and Sally Smith in the previous example who had $15,000 of total itemized deductions previously. If they typically give $4,000 per year they would lose the ability to deduct these contributions because they get a $24,000 standard deduction which would be higher than their itemized deductions. One thing they could do is contribute (perhaps appreciated stock) to a donor-advised fund for $20,000 (which represents 5 years of their gifting needs) in Year 1 which allows them to take the tax deduction now yet gives them the flexibility to gift that money to any 501c(3) charity over the course of the next five years or more. Another important gifting strategy that we will continue to recommend for retirees is the qualified charitable distribution. This is a provision that allows taxpayers to use up to $100,000 annually of their required minimum distributions (RMDs) from their IRAs upon reaching 70 ½ and gift them directly to a charity without the money ever being claimed as income on their tax return. Gifting pre-tax dollars to charities or donor-advised funds are ideal assets to designate to charities because of their tax-preferred status. The medical expense deduction, a very popular deduction for the aging population, was temporarily expanded to require only expenses greater than 7.5% of AGI for 2017 and 2018, but will revert back to 10% of AGI in 2019. Another less talked about change was the repeal of the individual Obamacare mandate that requires all individuals to obtain health insurance starting in 2019. The Alternative Minimum Tax (AMT) was not repealed. However, the AMT exemption amounts increased from $55,400 to $86,200 for individuals and $70,300 to $109,400 for married couples. Additionally, there were substantial increases in the income thresholds for individuals and married filing taxpayers ($500,000 and $1M respectively). The limitation of SALT and property taxes of $10,000 on top of repeal of miscellaneous itemized deductions will certainly lower the number of people subject to AMT going forward. Although the uniform estate and gift tax was not repealed, it was essentially doubled from $5.49M in 2017 to $11.2M per individual. The ability to step up cost basis of appreciated securities/assets upon passing provision remains too for taxable assets. This new exemption amount means very few estates will be subject to estate taxes. However, note there is a currently a sunset provision just like with income taxes that this legislation will end in 2025 if not made permanent. Irrevocable Life Insurance Trusts (ILITs) with 2nd to die policies, which were set up to help beneficiaries pay potential estate taxes, may need to be given a hard look at to determine the need going forward given these larger limits. The old ever popular “A/B” trusts that funded a residuary trust with the estate tax exemption amount (as little as $1M in 2003) at the first spouse’s passing also should be reexamined for all but the largest estates given these new exemption levels and portability between spouses. Lastly the annual gifting exemption amount increases $1,000 to $15,000 for 2018. New legislations allows 529 Savings Plans previously designed for college and post-secondary educations expenses to be used now for private elementary school and public, private, and religious high schools. The new provision permits up to $10,000 of distributions per student per year for the elementary and high school levels. There was also an important change with 529Able accounts allowing disabled beneficiaries to now contribute to their own accounts provided they have earned income up to $12,060 as long as they aren’t also contributing to a 401(k) or 403(b) plan. Please, note that Nebraska is one of about half of states who 529 plan did not immediately align with the new federal government rules. 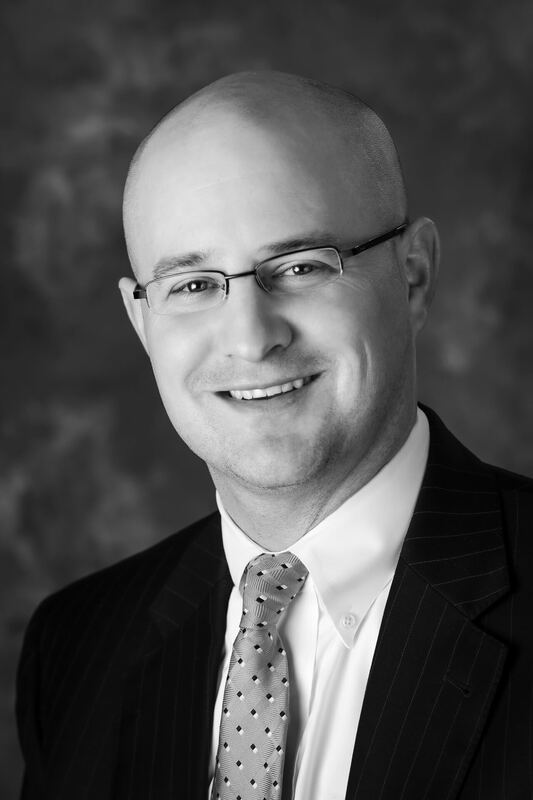 There is currently a bill in the Nebraska state legislature to align Nebraska’s law with this new Federal law permitting the use of these funds for lower levels of education. 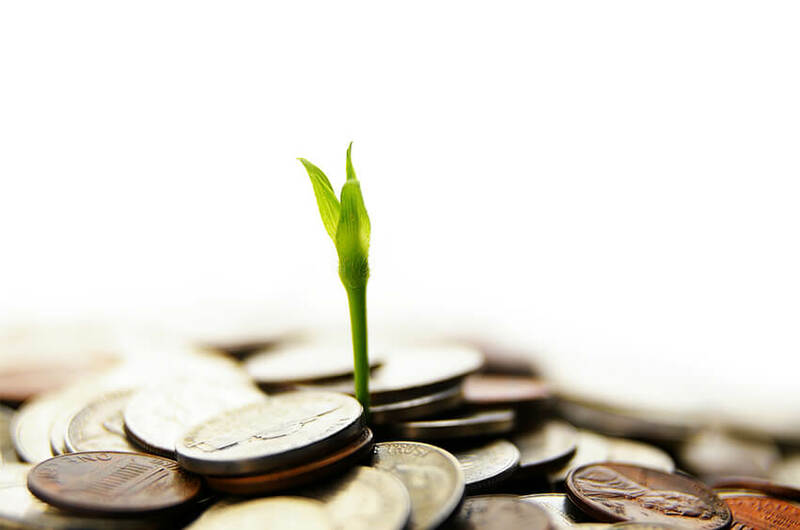 Roth IRA recharacterizations, or undoing a Roth conversion, were initially necessary for those who did a conversion and realized at the end of the year that they were over the income limit to convert to a Roth. In 2010, when the income limits for Roth IRA conversions were repealed this worry went away. What was left were unintended indirect consequences of this rule that allowed people to do Roth IRA conversions earlier in the year and potentially recharacterize if the market went down (very common in 2009 for 2008 Roth conversions). Conversely, it was possible for people to do multiple larger Roth IRA conversions into various accounts and cherry pick the account that did the best after 12-18 months and undo the other Roth conversions. The IRS has cracked down on this rule for undoing any Roth Conversions after 12/31/2017, thus eliminating this strategy. It will be as important as ever to discuss with your CPAs and estimate income toward the end of the year so as to not accidentally bump into a higher tax bracket. On another note, the ability to do “backdoor Roth IRA contributions” or converting nondeductible IRA contributions to a Roth IRA is still available. With the new tax legislation, we understand there comes more questions and in some sense more complexity from a tax planning standpoint. It is also important to note that many of these new laws have a sunset provision just like the Bush tax cuts of 2001 and 2003. It is our job as financial planners to stay ahead of these laws and offer thought leadership and strategies to consider implementing in your personal financial situations. There are still certain things that need to be discussed with respect to small businesses (S Corps, C Corps, and LLCs) which we will get more clarity with over the coming months. As always, please consult a CPA or other tax professional with any other questions regarding the new tax law or to seek approval about a certain strategy. Regardless of what comes out of Congress with regard to the Healthcare Bill, we know that healthcare costs will continue to be significant for retirees. One of the most efficient and valuable ways to help pay for these expenses are through health savings accounts (HSAs). Health savings accounts are a type of savings account that allows people to set aside money on a pre-tax basis for the designed purpose of paying for qualified medical expenses. One of the most basic rules is that an individual must be enrolled in a high deductible health plan (HDHP) to contribute and cannot have other health insurance that is not a HDHP. Being enrolled in Medicare or being eligible to be claimed as a dependent on another person’s tax return also prohibits HSA contributions. A HDHP, for purposes of HSA eligibility, is considered a health plan with a minimum annual deductible of $1,300 for person under a single plan or $2,600 for a family health plan. Additionally, maximum out of pocket expenses must not exceed $6,550 for someone with self-only insurance and $13,100 for family health insurance. Anyone on a self-only HDHP can contribute $3,400 annually to a HSA; whereas individuals covered under a family HDHP can contribute $6,750 annually for2017. Each of these contribution limits allows for a catch-up contribution of an extra $1,000 annually for persons over the age of 55. Just like IRAs, individuals have until the April tax filing deadline of the following year to fund HSA contributions for the previous calendar year. HSAs are one of the most favorable tax investment vehicles in existence today. Unlike IRA contributions, HSA contributions do not have an income limit which phases people out of making contributions. Thus, someone making $5M annually still has the ability to make an HSA contribution if they are covered under a HDHP and don’t run afoul of the other restrictions mentioned previously. HSAs offer investors triple tax savings: any contributions are made pre-tax and can be deducted from income on the tax return, the earnings and growth accrue tax-deferred, and any distributions that are made for qualified medical expenses are tax-free. Examples of qualified medical expenses include most medical, dental, vision, and rehabilitative or chiropractic expenses. Tax-free distributions for medical expenses can be made at any time, even after a person retires and ceases making contributions. Generally, if distributions are made for any other purpose besides a qualified medical expense the distribution is subject to a 20% penalty. However, once people reach the age of 65, they can make distributions from an HSA for any purpose without penalty. At this point, the HSA essentially turns into a traditional IRA and distributions for non-medical expenses are merely subject to income taxes. If my employer doesn’t offer an HSA account I am not able to contribute to one. False, as long as an individual or family is covered under a qualifying high deductible health plan they are eligible to contribute to an HSA. In fact, this includes people who have retired earlier and are covered under HDHP plans under the Affordable Care Act. If I don’t use it, I lose it. This is also untrue. 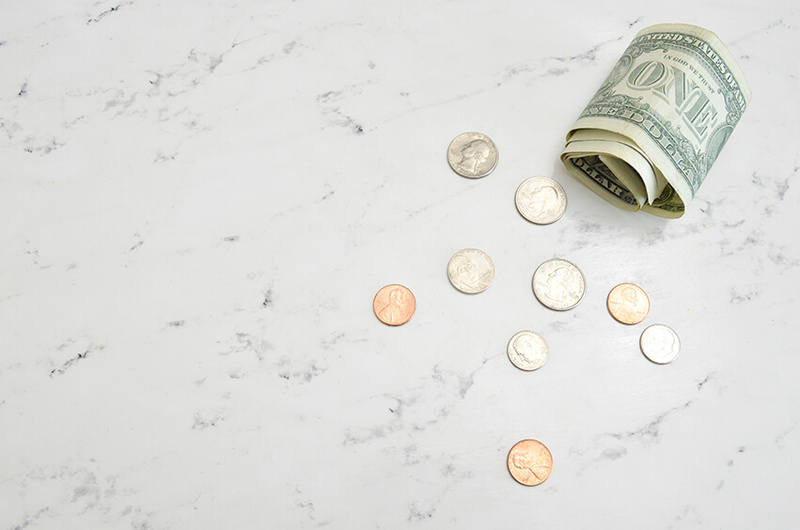 Many people may be familiar with the similarly named Flexible Spending Accounts (FSAs) that disallow people from rolling over contributions from year to year. With an HSA you will not have to worry about making a December 30th trip to the local Walgreen’s or CVS to use any remaining funds in the account. HSAs allow owners to build up unused balances and roll them over from year to year. I am only able to pay for my own medical expenses. False once again. In fact, individuals may pay for their spouse’s or dependent children’s medical expenses as well as their own. This even holds true if a spouse or dependent has his or her own medical insurance that is not HSA eligible. I can only take a tax and penalty-free distribution in the year I incurred a qualified medical expense. This is incorrect. Distributions can be made for qualifying medical expenses in a previous year, as long as record that those expenses were paid out-of-pocket can be furnished and the expenses occurred after the HSA was established. Medicare premiums can’t be paid for from an HSA. This may be a surprise, but this is also false. Insurance premiums are not usually considered qualified medical expenses. However, when a person turns 65 and enrolls in Medicare, they can pay for all Medicare premiums (except for Medigap/Medicare Supplement Plans) from an HSA. As I discussed in the opening, healthcare costs continue to rise and be one of the largest expenses for people in retirement. HSAs can be utilized in a way to help people mitigate some of these costs in retirement. The triple tax savings allow people to take deductions for contributions during their working (often higher income tax) years, have contributions grow tax-deferred, and afford tax-free distributions for medical expenses at any point later in life. 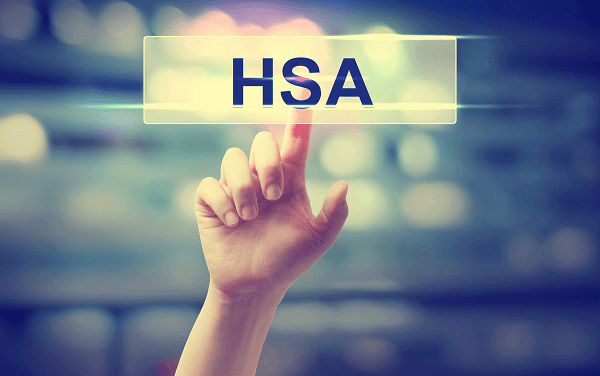 In order to use HSAs most efficiently, it might make sense to maximize HSA contributions each year while eligible under a HDHP and let these contributions grow like an IRA before using the funds for medical expenses in retirement. In many cases, people use HSA funds whenever they have a medical need, thus losing out on an opportunity for tax-deferred growth and potentially larger tax-free distributions in retirement. Another benefit of HSAs is that you can invest contributions in mutual funds and other vehicles much like an IRA. A company like Health Savings Administrators offer HSAs with large investment lineups from money managers such as Vanguard, Dimensional Fund Advisors, TIAA Cref, and others. More and more, HSAs can be utilized like an IRA for their tax-deferral and growth capabilities with an objective of using the funds in retirement. One disqualifying rule for being eligible to contribute to HSAs is being enrolled in Medicare. Keep in mind that a person must be enrolled in a HDHP to be eligible to make HSA contributions. Medicare is not a HDHP and thus excludes people from making HSA contributions while enrolled in Medicare. However, many people in today’s age choose to work past 65, when they would become Medicare eligible. It is perfectly allowable to opt out of Medicare and continue to receive healthcare coverage through an employer high deductible health plan, which would allow for additional HSA contributions. Social Security retirement benefits can add another layer of complexity. When a person begins claiming Social Security at age 65 or later, they are automatically enrolled in Medicare Part A meaning they lose the ability to continue contributing to an HSA. Thus, if someone wants to keep a window open to continue contributing to an HSA after 65, it makes sense to delay receiving Social Security benefits and maintain health insurance through their employer plan. When considering staying on an employer health plan after 65, please be mindful of Medicare Part B rules. If your employer has over 20 employees, this would allow you to delay enrollment in Medicare Part B (and A) and stay on the group health plan without penalty. Even though the tax treatment of HSAs (for non-medical expenses) and pre-tax IRAs and 401(k)s is similar once a person reaches age 65, they are two separate types of accounts that can’t be commingled. For example, a person with a $50,000 balance in an HSA account couldn’t roll it over to an IRA upon retiring at age 67. However, there is a one-time rule that allows an individual or family to roll a portion of an IRA over to an HSA account up to the annual limit ($3,350/$4,350 for self-only or $6,750/$7,750 for family coverage). This little known exception is allowed only once per lifetime, and it could potentially save someone taxes on a distribution if they have exhausted HSA balances in retirement and have a qualified medical expense. HSAs were designed to help people pay for qualified medical expenses. However, the favorable tax rules surrounding these accounts have allowed them to be used as a powerful retirement planning tool for people to combat large healthcare expenses in retirement. As with any tax recommendations, please consult your CPA or advisor to determine how HSAs fit within your overall portfolio.